Stefan likes to use the Matterhorn as a test for the terrain of 3D globes. 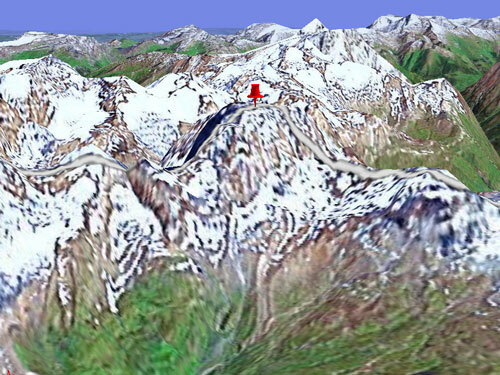 He’s looked at the Matterhorn in Google Earth and Virtual Earth 3D. Here is the “standard” view in ArcGIS Explorer. Anyone in Europe have a nice detailed globe service they’d like to share? Because of the back end technology behind AGX, it should be able to blow away both Google Earth and Virtual Earth with terrain models. The question is how to find them.